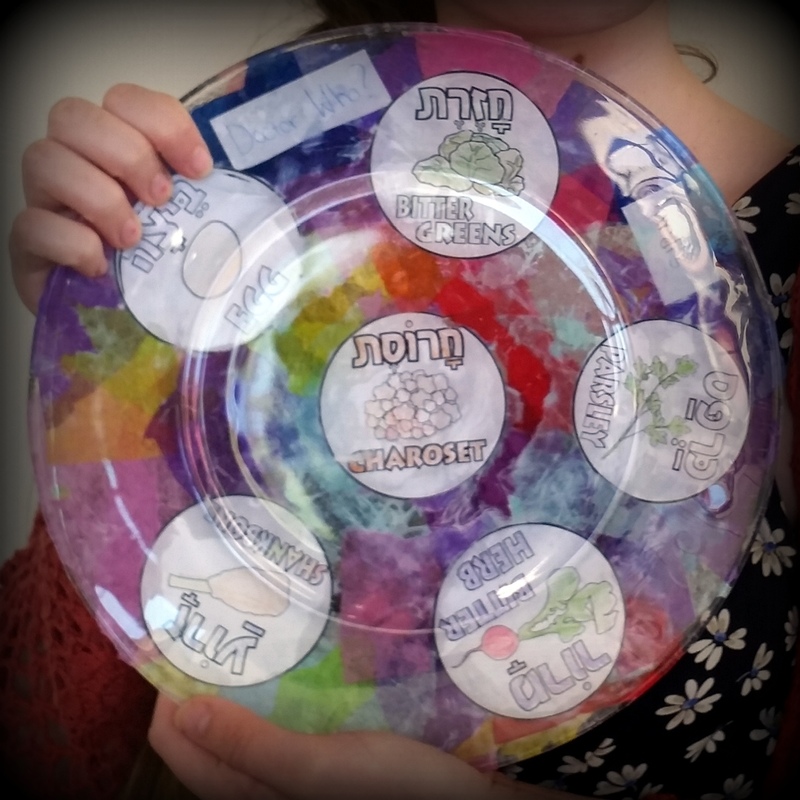 Review the symbols of the Passover seder with this decoupage glass seder plate craft, adaptable for all ages! Pretty much every tradition within the Passover seder arises from this verse, in which we are commanded to remember the day of the Exodus from Egypt. The seder is how Jews have observed this commandment for centuries. Each tradition within order of the seder serves to remind us of one or more aspects of the Passover story. 1. 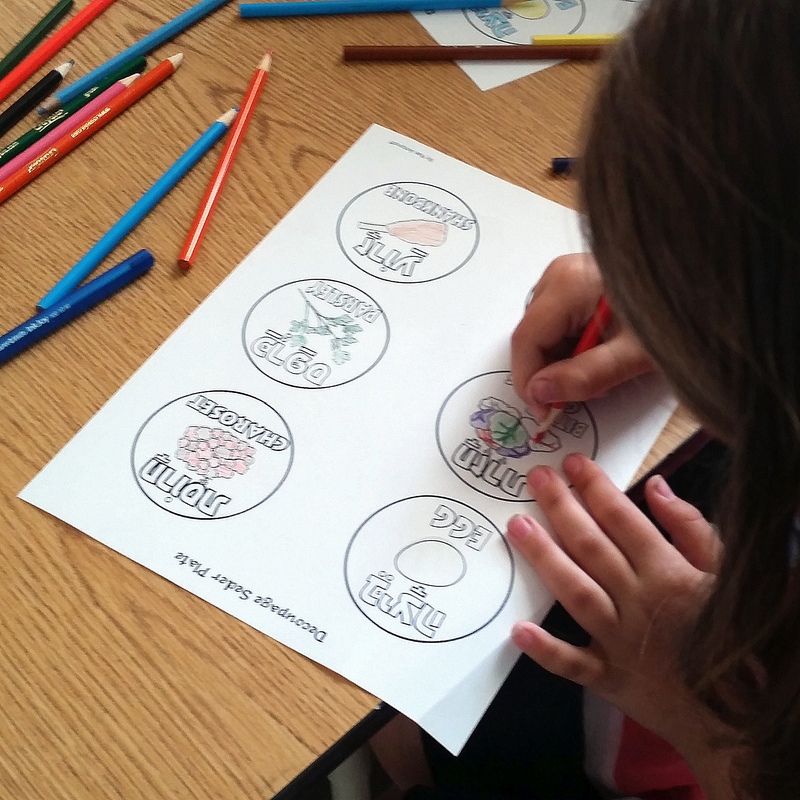 Fill in the seder plate circles with colored pencil any way you like – go realistic or not, add borders or background color or keep it simple… up to you! 2. Cut out the circles. 3. Decide where you want to put the circles: all 6 around the edges, or 5 around the edges and one in the middle. a. 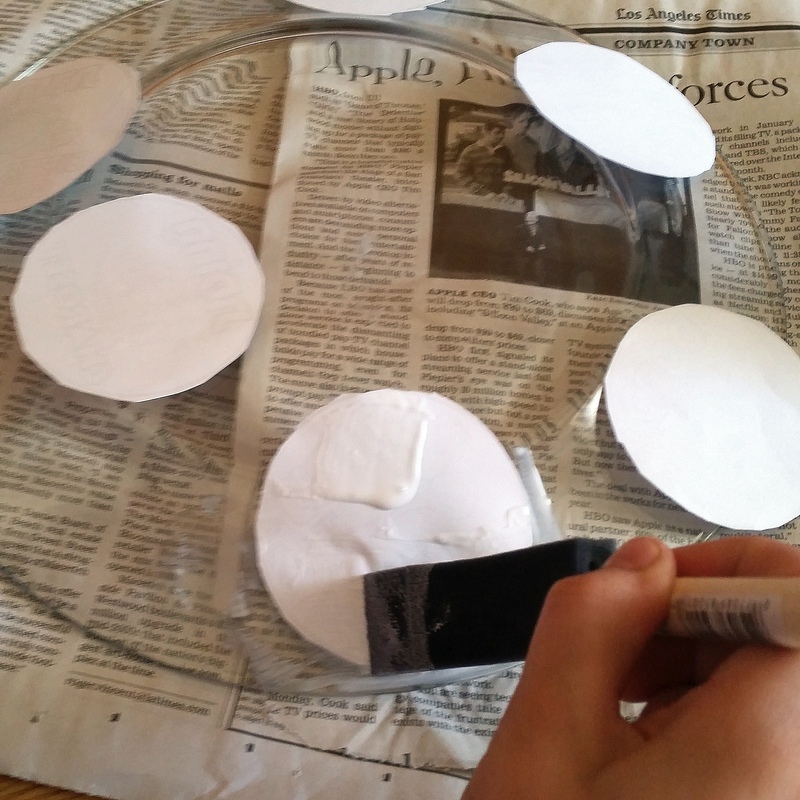 Prime the area where your first circle will go by brushing a very thin layer of ModPodge directly onto the plate. b. Place a circle on the plate, colored side down (so it shows through the glass). 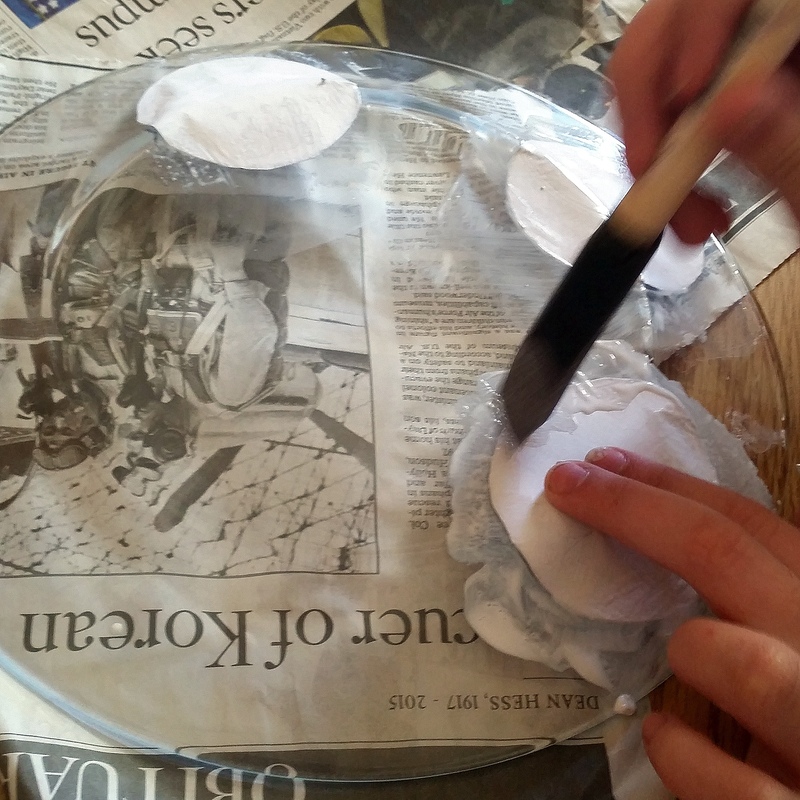 c.	Brush ModPodge over the circle: always apply ModPodge from the inside of the paper to the outside, then go over the edges and onto the plate. It will dry clear! If the plate changes angle sharply from the center to the edges, attach the circle on the flat part of the plate first. Let it set for about 30 seconds before brushing ModPodge over the angled side of the circle and forming it to the plate’s curve as best you can. Brush out any bubbles before it dries. 5. 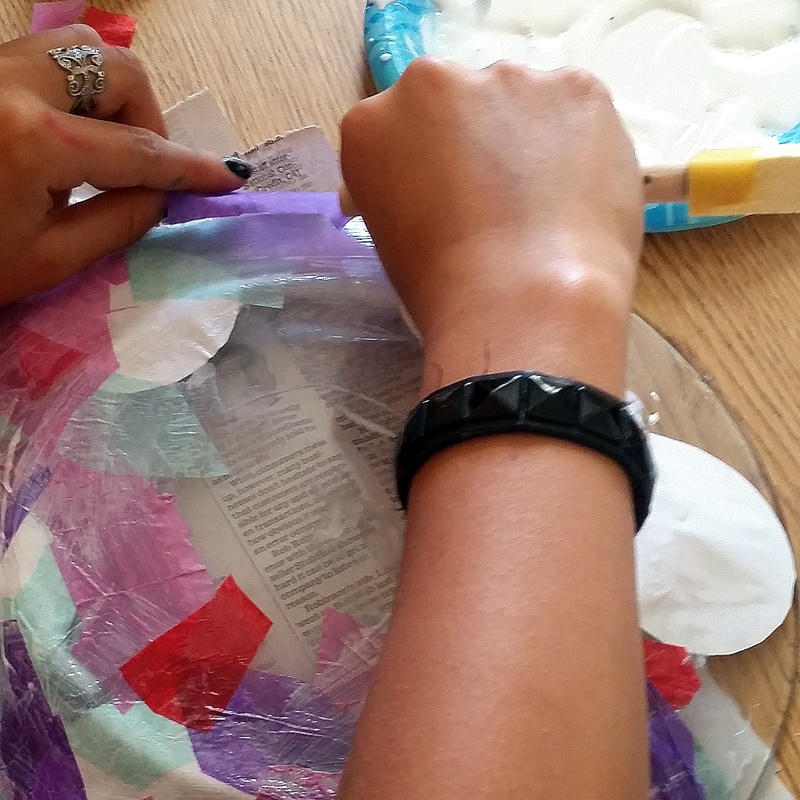 Once your circles are attached, decorate the rest of the empty space with tissue paper! 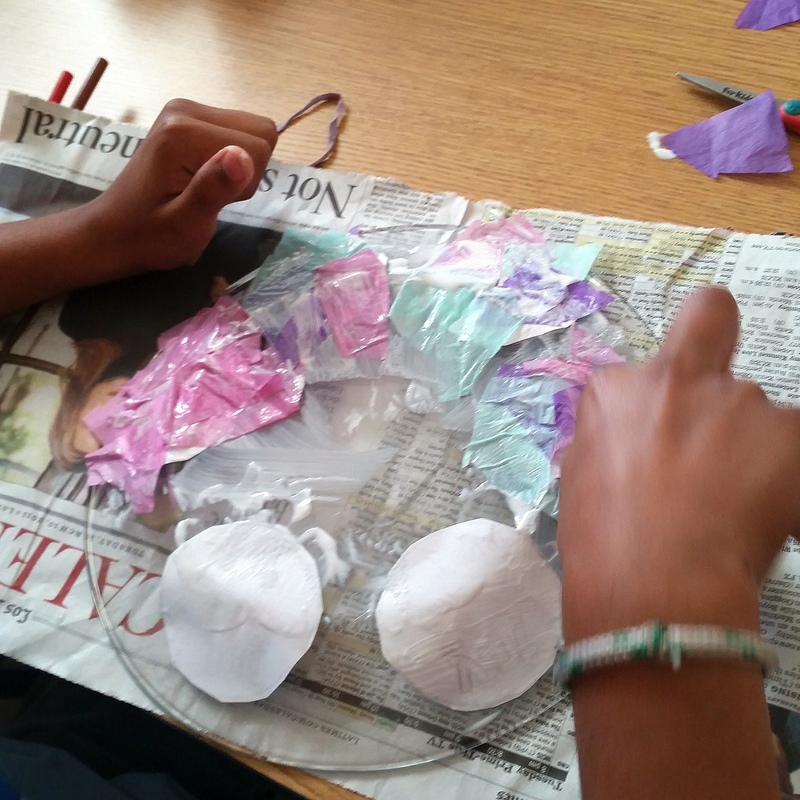 Apply a single layer of tissue paper, then brush ModPodge over the back of the tissue paper – no need to “prime” the plate for tissue paper like you did for the circles, since those were thicker paper. 6. Set the plate out to dry. 8. Optional: For added durability and easier washing (still hand-wash, but you don’t have to be quite so careful about it), wait until the plate is completely dry, then spray with 2-3 coats of acrylic sealer (follow the instructions on the packaging regarding wait time between coats). Allow the sealer to set for at least 24 hours. 10: Which One of the Four Children Are you?